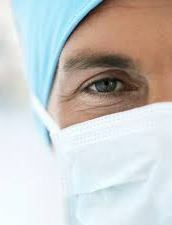 Healthcare-Associated Infections (HAIs) are infections acquired during the course of medical care in a healthcare facility. For more information, please visit CDC’s HAI Burden page. 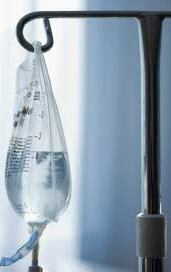 In Delaware, these often occur through catheter use in the blood or urinary tract, or in surgical sites. HAIs can be severe and sometimes deadly. About 1 in every 20 inpatients contracts an HAI during their hospital stay. These complications are among the top 10 leading causes of death in the country. For more information please read the research article found at this link. Through prevention, surveillance, and response activities, the Division of Public Health is committed to reducing the number of HAIs in hospitals throughout the state and ensuring the highest quality healthcare for all Delawareans. Improving data to identify and prevent HAI outbreaks or transmission in healthcare settings. Developing and disseminating provider and patient education materials. Conducting validations studies to assess the quality of HAI data reported. Providing consumers access to useful healthcare quality measures through quarterly reports. Acute Care Hospitals Urgent care or other short-term stay facilities for surgery, acute medical conditions, or injuries (e.g. critical access facilities, oncology facilities, military/VA facilities). Outpatient Dialysis Facilities Facilities that treat hemodialysis patients in-center, as part of the End Stage Renal Disease Quality Incentive Program through the Centers for Medicaid and Medicare Services. Long-Term Acute Care Hospitals Hospitals that treat patients that may require extended care, typically for more than 25 days. Most of these patients are transferred from an intensive or critical care unit. Inpatient Rehabilitation Facilities A hospital that specializes in therapies to help restore a patient's functional abilities. Ambulatory Surgery Centers Facilities that perform procedures that do not require the patient to stay overnight in the hospital. Also known as outpatient or same-day surgery centers. Long-Term Care Facilities Nursing homes, assisted living, chronic care facilities, and skilled nursing facilities. These facilities are not required to report HAIs in Delaware. However, HAIs remain a burden in many long-term care facilities. For information on current and upcoming reporting requirements for each of these facilities, see the Healthcare Facility HAI Reporting Requirements to CMS. 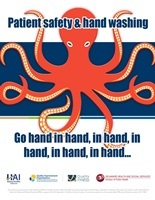 Please find the following hand hygiene compliance checklists for four activities: Anesthesia, Med-Pass, Ambulatory Services and Oncology. The checklists were developed by the HAIAC Prevention Subcommittee to help standardize expectations of the reviewers/inspectors during surveys to assess a facility's performance. Alliance for the Prudent Use of Antibiotics (APUA) - Battling Drug-Resistant Superbugs: Can We Win? Use the Hospital Compare webpage to see information on patient quality of care, including prevention of infections and care of surgical site infections, for specific hospitals. Use the Dialysis Facility Compare webpage for quality information and infection data for specific dialysis facilities. Hospital Compare and Dialysis Facility Compare were developed by the Centers for Medicare and Medicaid Services (CMS) and Optional Public Reporting (formerly Hospital Quality Alliance), and are based on data from patient records. Related pages include Physician Compare, Home Health Compare, and Nursing Home Compare. This information has been moved to a new page...follow this link.